People ask me all the time, "where did you learn how to cook?" or "did you go to a culinary school?" And the answer is always the same: I learned from my Mom. Seriously, the only cooking classes I've ever had were watching my Mom work her magic in the kitchen on a daily basis when I was growing up. Not only did she make everything taste AMAZING, (like, seriously, I'm not even kidding), but also she was absolutely brilliant when it came to stretching a meal. With 11 hungry children to feed, she had to find ways to get as much bang for her buck as possible. So believe me when I tell you it was nothing short of sorcery how she could take one small chicken and turn it into enough stew to feed the entire family. Or she'd take one little packet of dried beef, and suddenly there's breakfast for everyone. Crazy right? So imagine it's a hot summer day, and we're all outside playing with the neighborhood kids and riding our bikes, etc. Then we'd come home dying of thirst and wanting something to drink. Most times, Mom would give us a tall glass of her home made iced tea, but other times it was this grape juice. But here's the thing.. instead of constantly buying bottles of fruit juice (which can be expensive when it all adds up) she would use this recipe to turn one pitcher of juice into two. Clever, huh? Its brilliance is in its simplicity. And frankly, I think this tastes better than the original. And suddenly our thirsts were quenched and we were all running back outside for the next neighborhood game of kickball. She always told us she did it this way because the flavor of the bottled juice was too concentrated, but really she was just getting as much out of it as she possibly could. I swear someone should have just followed my Mom around and taken notes. So give this a try if you have a gang of kids who are constantly asking for more juice, or if you just like to stretch a buck. Add this to the neverending list of amazing things my Mom did for us! Stir together the juice and water. Add sugar, and stir until dissolved. Add the juice of the orange, and then slice the orange and float the slices in the pitcher. Chill or serve over ice. It's best when it's served ice cold on a hot summer day! Oh, and one more thing... the best part is when the juice is gone and you eat the orange slices! OMG SO good!! My sister, Cathy, remembered that Mom did this with lemons instead of oranges. My Jeanie remembered that she used peaches. I absolutely specifically remember her using oranges, but I have no doubt that she probably also used lemons and peaches at one time or another. She made use out of what she had available! Words to live by! If you decide to use lemons, just be sure to remove the lemon slices from the pitcher after a few hours because they can make the juice too bitter. Not a fan of Welch's? Use your favorite brand! 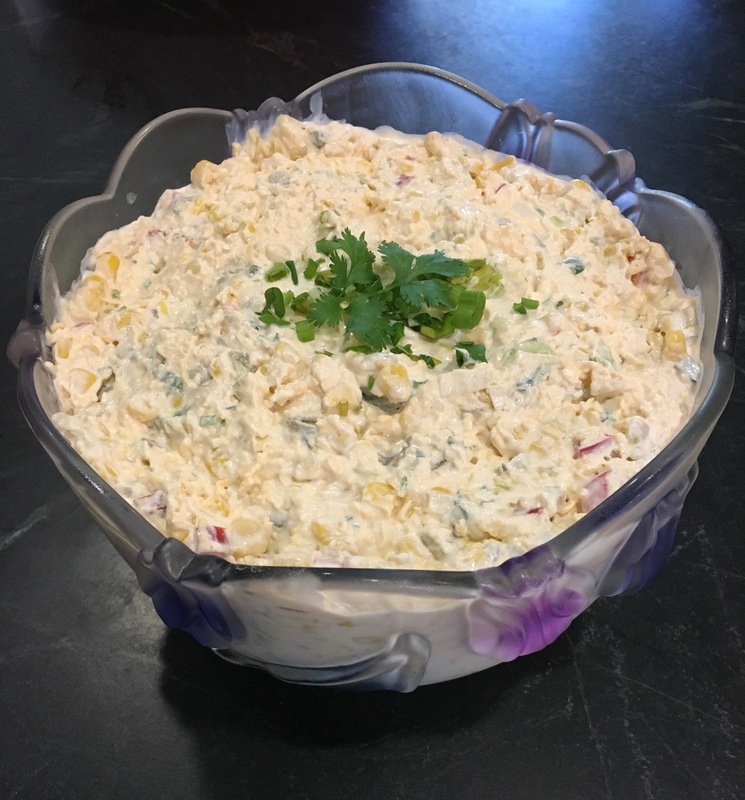 Here's a quick and easy party dip that you can throw together in a snap. I made it for my brother-in-law, Gregg's, retirement party and it was a huge hit! It was a Taco Tuesday theme, so I figured an easy corn dip would fit the bill. Everyone loved it! This is actually not my own recipe but rather my tweaked version of a recipe I found on a blog called Onegoodthingbyjillee.com. 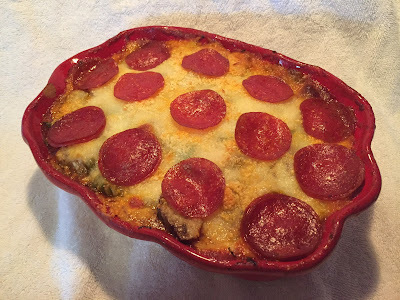 If you know me, you know I can't leave well enough alone, and I usually wind up switching things up a bit, especially when it comes to dip recipes. Since there's no baking science involved, it's easy to just add or subtract things to your own liking. And this one is so simple, you just dump everything into a big bowl and stir. That's all there is to it! Also it's great to do ahead because it's best when you let it chill in the fridge for a while (or even better overnight) before you serve it. So, thank you, Jillee, for inspiring this one good thing! And congratulations, Gregg, on your retirement! Combine all ingredients. Chill before serving with Fritos! -Be sure to chop the peppers and scallions extremely finely. Everything should be as small or smaller than a single kernel of corn. -On Jillee's blog, she mentioned that her dipper of choice would be the SCOOPS kind "for maximum dip retrieval" LOL and I absolutely couldn't agree more! But if Fritos are your thing, go for it! Or else do what I did... serve it with both! -If you'd like to add a little more heat, don't scrape out the insides and seeds of the jalapenos. Leave some or all of it in. That's where the heat is! -If you're not a fan of cilantro, just use chopped fresh parsley instead! -Oh, and one other thing.... You don't need to purchase the brand name Mexicorn. You can just buy regular cans of whole corn. I mean, you can if you want, but it's not necessary. Mexicorn is just corn and diced bell peppers, which are already included in the recipe!